To a large extent, this book is about gurus, or teachers, and Ram Dass himself is a spiritual guru to many of the Boomer generation. 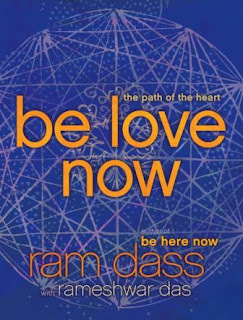 Published in 2010, his new book, Be Love Now: The Path of the Heart, written with Rameshwar Das, is the third in a trilogy that includes Be Here Now (1971) and Still Here (2000). 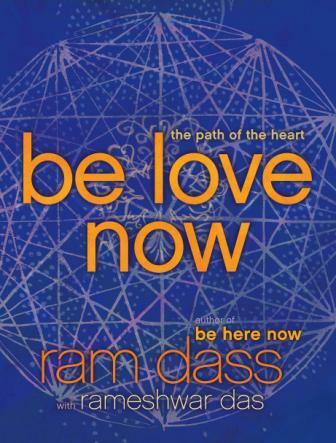 Be Love Now is dedicated to Ram Dass' guru, Maharaj-ji. Interestingly, Ram Dass says that he abhorred the idea of gurus initially. He was nearly panic-stricken during his first meeting with his guru-to-be, worried about someone stealing the car he had driven through the mountains of India, a Land Rover, and felt even more uncomfortable when Maharaj-ji asked him if he could have the car. 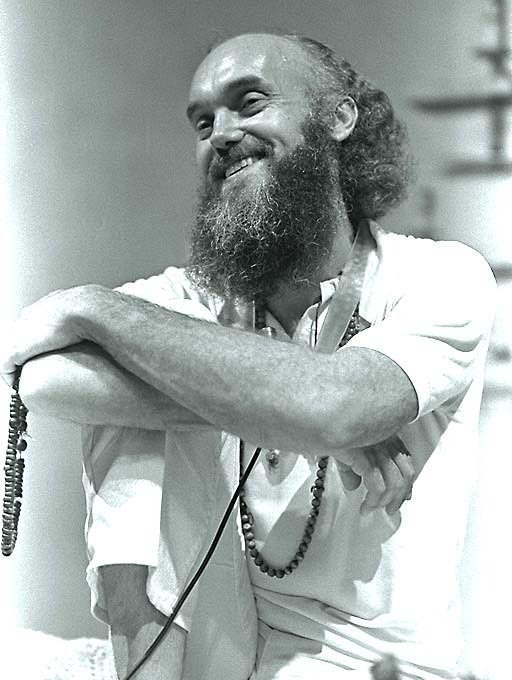 Soon, though, Ram Dass had a keen awakening. He felt more love and understanding from Maharaj-ji than he had ever felt before from anyone. What was even more astonishing was that he also experienced a love for others beyond anything that he had ever before experienced. This presence of love affected him in a profound way, and was the start of his belief in gurus, in Maharaj-ji, and in a new kind of love as a state of being that radiates outward from within. "The heart surrenders everything to the moment. The mind judges and holds back." The author's writing is personal, engaging, and sometimes humorous, but his quest and his ideas are universal. The best way to read this book is to wrap yourself in a plaid blanket (or Snuggie), brew some chai tea, and open up your heart-mind to the limitless possibilities of love. Special thanks to Trish from TLC for sending me this book. 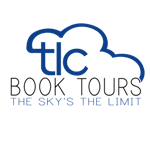 For more reviews, please visit TLC's book tour for Be Love Now. But that will take sometime. love that quote! I'm glad you enjoyed this so much. It sounds like a fascinating journey for the author. I admit that this isn't a book that I'd normally read but you make it sound so interesting that I'm going to have to see if I can get hold of a copy. Thanks for the recommendation. This does sound like a really deep and introspective book, and though I do have a little bit of a hard time believing in the power or gurus, it sounds like this book could be helpful in a lot of capacities. When you say that you just scratched the surface with this book, I can totally believe it, as it seems that reading this book to impart life lessons would probably be very challenging for one who is not used to the subject matter being dealt with in this manner. Great review, Suko. I am going to have to check it out! Thanks for all the comments! More welcomed. This sounds amazing Suko. I added it to my wishlist already. sounds like a wonderful book.. Loved the quote..adding to my TBR. Sounds like a book that really gets you thinking. Glad you enjoyed it. Great review. However, as great as your review was, I don't think it is something I would read. I like light and fluffy.. hee, hee. Thanks for your many visits to my blog and the wonderful comments you always leave. They are very much appreciated. Will look this one up! I love your review of Be Love Now. You've really captured the essence of the book in such a beautiful way. I agree - there is so much insight, wisdom, and guidance in the book that it deserves sell reads over time. The name sounds so familiar ... and it sounds like an interesting journey that he underwent. Sounds like he went into it a bit of skeptic so I'd be curious about his journey. Wow, mind-blowing? I LOVE when I find a book like that! I'm so happy that you enjoyed it - thanks for being a part of this tour.